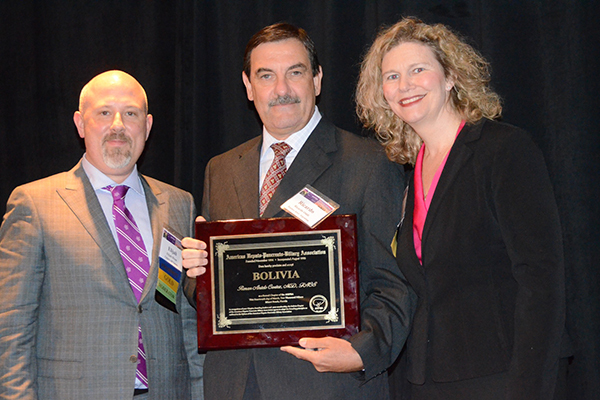 The AHPBA Bolivian Chapter is part of the Bolivian Society of Surgery. It was created on August 15, 2013 during a HPB international meeting which had the participation of Professors Javier Lendoire, Oscar Imventarza, Ricardo Bracco and Ricardo Oddi in Buenos Aires, Argentina. Those meetings also had the presence of presidents from all the Surgery Societies of the Country. The contribution and sponsorship of the Argentine IHPBA Chapter was one of the main reasons Bolivia is now a part of this prestigious international organization. Our Chapter, during the XXVII Bolivian Surgery Congress celebrated in November 2014, organized an international HPB Symposium which had the presence of recognized HPB Specialists from Argentina, Brazil and Paraguay, as well as the presence of Dr. Elijah Dixon – current President of AHPBA and Dr. Rebecca Minter, current secretary of the organization. The mentioned Symposium worked as a formal entering to the AHPBA of the CBHPB. The CBHPB currently has nine members. The president of the Chapter is Renán Antelo.